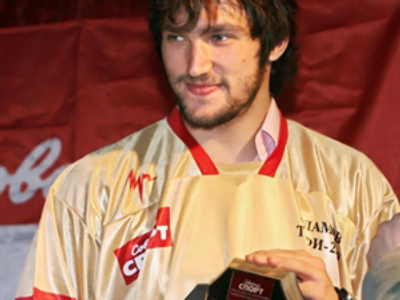 NHL superstar Aleksandr Ovechkin has become an ambassador for the 2014 Winter Olympics in Sochi. The Washington Capitals’ forward left his hockey stick in the U.S, and arrived in the Olympic capital for a friendly game of football. Ovechkin’s Sochi-2014 team took on the legends of Russian football as part of the ‘Sochi – Yes!’ festival. “I am honored to become an Ambassador of the Winter Games to be held in my own country. When Sochi won in Guatemala, we were happy to find out that we’ll play at home at a brand new stadium built right on the seashore. As an athlete, I’ll try to do everything possible to help Russia win the hockey gold. And as Ambassador, I’ll put all my effort into providing organization of the highest level for Sochi-2014,” Aleksandr Ovechkin said told Ria-Novosti news agency. Russia won the right to host 2014 Winter Olympics at the 119th Session on of the International Olympic Committee in Guatemala in 2007. The ‘Sochi – Yes!’ festival is held every year on July 4 to mark this achievement, and ‘Alex the Gr8’ has already become the event’s regular. 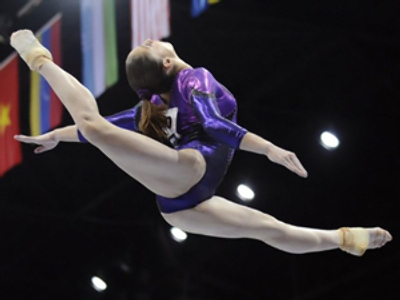 ”For me it’s now hard to imagine a summer without a trip to Sochi. I was here same time last year. 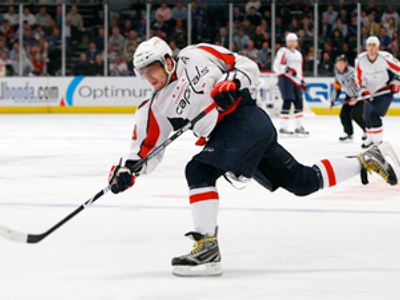 The city is changing rapidly, and I am especially glad that the construction of the hockey arenas is already underway,” Aleksandr Ovechkin said.